A spider is a program that automatically navigates web pages to find informations. These informations can be of any kind, Google, for example has a spider named Googlebot, which is the most famous and ubiquitous spider ever existed, it scans pages and copy contents to Google servers to let your pages be found on Google search engine. After copying pages, other programs build indexes, analyze your contents and determine page rank for each keyword of your page. Search engines, like Google, Bing, Yahoo! can exist only because there are spiders. The second step could go outside the scope of a spider if it is too complex. There are different names for spiders. They are called also web crawlers, scrapers, bots, harvesters. Programs that go on the web are called web bots (or simply bots) when perform small tasks, whereas when they collect a lot of data and parse thousands of pages and make complex things they are called spiders. Building a spider/bot means thinking at web in a different way, it’s not only a place where you can read articles, log in to your starred social network or buy something on a e-shop. It’s a place where you can use programs to make things. For example, you can set up a spider to check if the page of your preferred artist changes and send you a push notification on your device if it happens. You can use spiders to track views of your competitors and build a rank to monitor them. You can build a spider that logs in on a site and makes something as a normal user. There are a lot of possibilities. A spider can also use APIs to find data and perform tasks inside third parties sites. A very simple spider to build is an email scraper. Which, if used to send spam, becomes a Spambot, wich is a BAD THING. As the name say an email scraper is a program that crawl the links of an entire site, and find emails. The emails are than stored in a database and can after be used to contact users with (maybe unsolicited) emails. 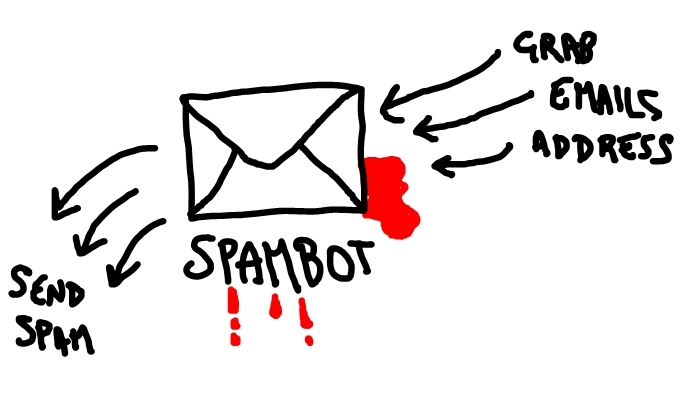 I really don’t like spam and spammers, but building a part of a Spambot (the part that find emails) for didactic purposes can show you how simple is to take emails out from a site, and you can easily understand why there is so much spam in our inboxes today. So, I will show the code of an email scraper which collects emails from a web site. You will also understand, as a developer why it is so important to never show emails clearly in web pages. In the next paragraphs I will explain the code of a simple mail scraper that is made using my Mini Bots PHP Class. Since every spider needs time to run, it’s really important to have control on it. This means that you know what you’re doing and that you can cause problems to servers and developers behind those servers. So you have to control your code, and be able to stop your spider and limit it. This because if you send a lot of http calls to a web site, you can overload it and “kill” it. This way respects also the rule of politeness, since you will make a small number of calls to the target server, not to close. This rule is very important and is a policy that developers must follow. The crawler starts from a “seed“, that is to say a beginning URL, and finds all the links in that page and store them in a database. Then it searches for emails in that page and, if there are any, proceed to store them in the database. It’s very easy to find emails since you need just one regular expression to extract them from html. At the end of this process the crawler marks the analyzed page as read and the spider stops. When it restarts it choose another seed from the previous saved links and not yet marked a read. This process lasts until all the urls in the database are read. With a script like this you can scrape an entire site and find emails. As you can see there are only two tables, one to store the links found and mark them visited or not. And then the emails table which collects the found data. Here is the code, remember that to let it work you need my Mini Bots PHP Class, available for just 7$ on CodeCanyon. To grab the list of links in a page, fix absolute paths and remove duplicates and filter internal links. 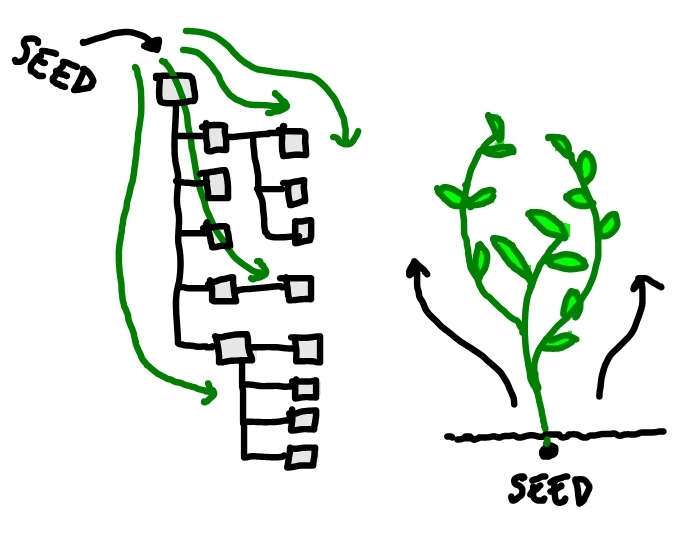 So, build the tables in your database, copy the code and configure it with your database and your $SEED and go. You can close the browser and reopen it, or stop the automatic refresh of the scraper by pressing ESC. To restart it just reload the page.